Socket 1155 supporting 22nm & 32nm processor technology (Ivy Bridge and Sandy Bridge). 2 Memory sockets - maximum 16GB RAM @ 1600Mhz. TPM connector (The TPM module is an optional accessory). This product only supports socket 1155 processors. It does not support socket 1150 processors (Haswell). 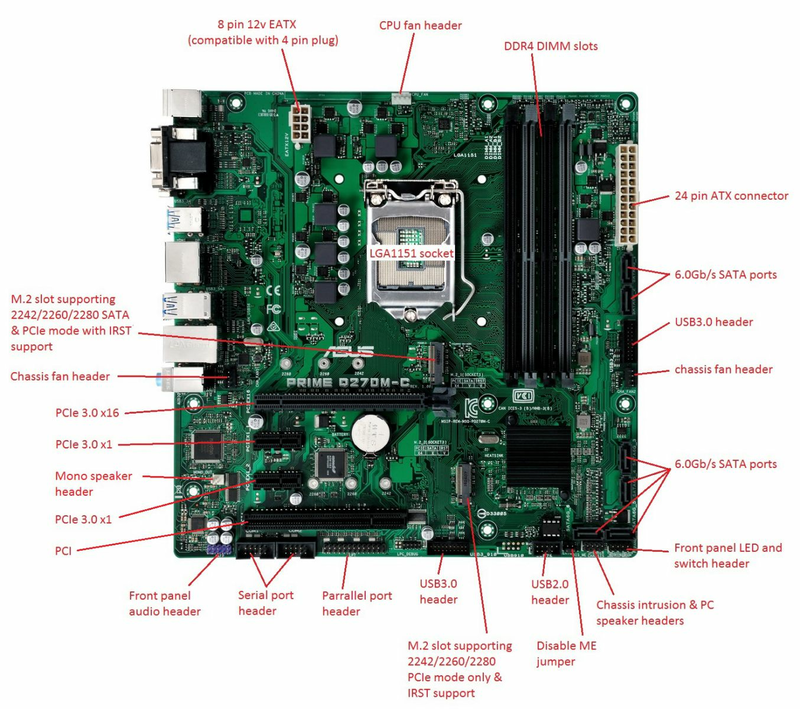 Please find the manual for this motherboard attached to this article. Reminder: This chipset and processor technology is one of the last to support Windows XP. 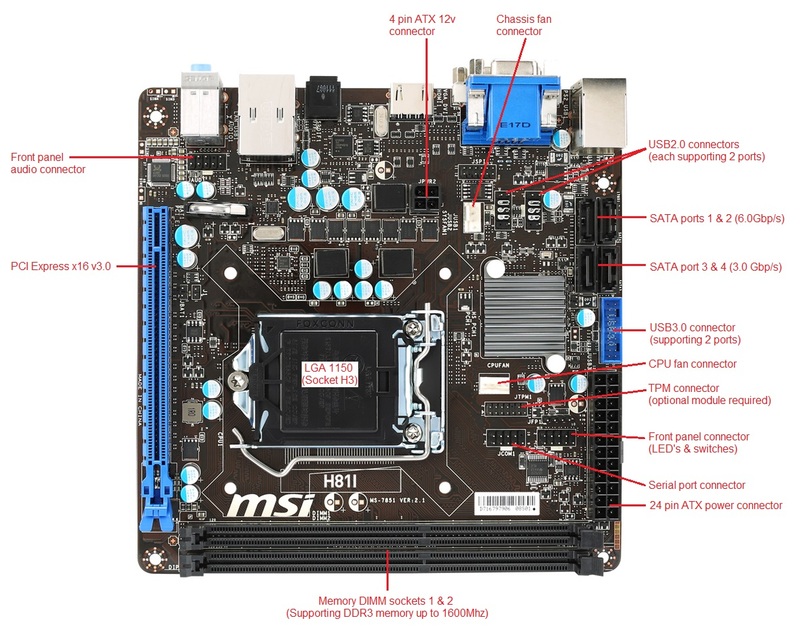 Please see the attached motherboard manual for the MSI H61I-E35 V2/W8 - BOAMOT-452. 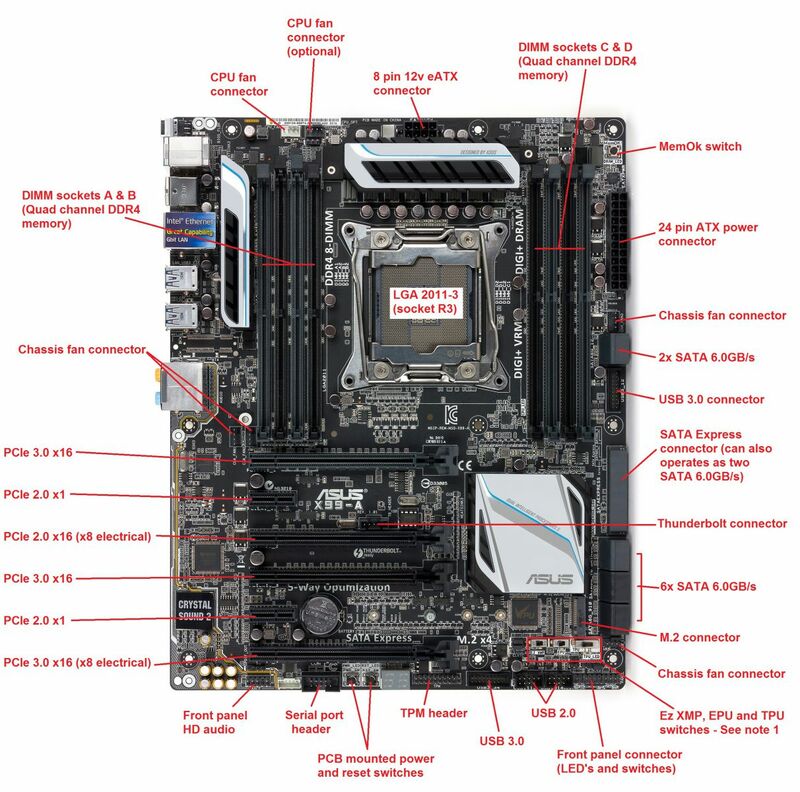 Please see the attached motherboard manual for the Asus P8B75-M - BOAMOT-458. 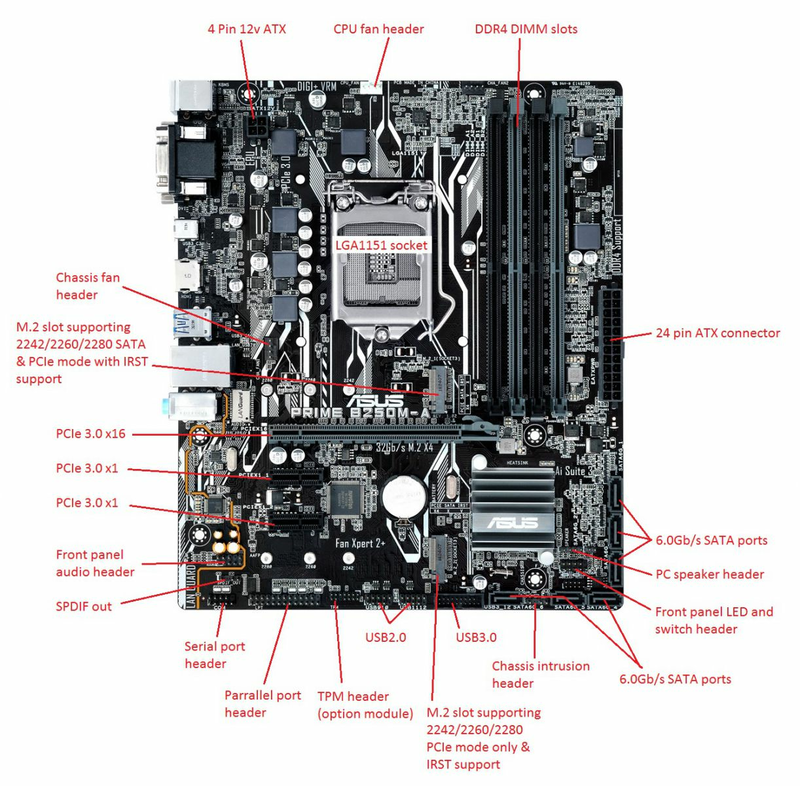 Please see the attached motherboard manual for the MSI C847IS-P33 - BOAMOT-460. Rear VGA and DVI-D (digital only) video outputs supporting simulateneous dual display. Note: This is a value board with legacy features (such as dual PS/2 ports) which delivers substantially inmproved performance over Atom based systems. Measured at the AC outlet, a system configured with a single 2.5" mecahnical HDD, ODD and a single 2GB stick of memory draws approximately 28W peak power. 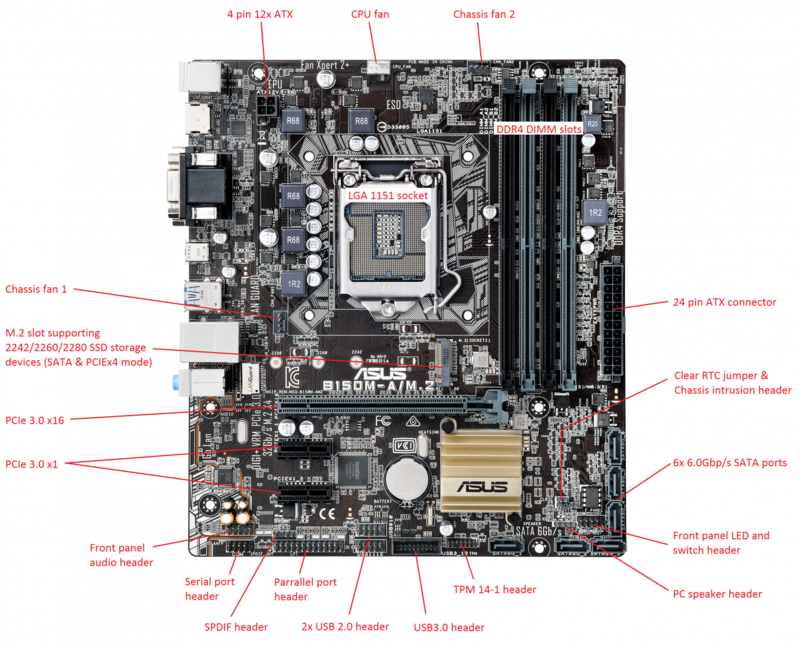 Please see the attached motherboard manual for the Asus P8Q77-M - BOAMOT-461. Q77 chipset supporting ME, AMT and vPro. Socket 1155 supporting 32nm and 22nm processor technology (Sandybridge and Ivybridge). 1 x 16x PCIe 3.0 Slot (16x Electrical). 1 x PCIe 2.0 x4 Slots. 2 x 32bit PCI Slot. 6 SATA ports (2 x 6GB/sec, 4 x 3GB/sec) supporting software RAID 0,1,5 and 10. 4 Memory sockets - maximum 32GB RAM. VGA, DVI-D and Display Port. This product does not support socket 1150 (Haswell) processors. 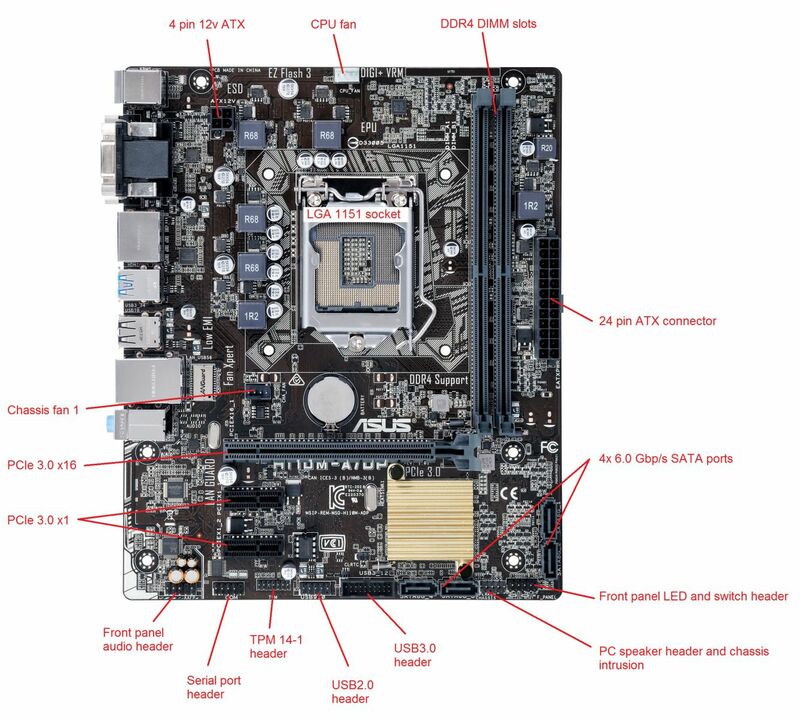 Please see the attached motherboard manual for the Asus Q87M-E - BOAMOT-462 / BOAMOT-473. Intel Q87 chipset supporting ME, AMT and vPro. Socket 1150 supporting 22nm processor technology (Haswell only). 1 x 16x PCIe 2.0 Slot (4x Electrical). 6 SATA ports (6 x 6GB/sec) supporting software RAID 0,1,5 and 10. VGA, DVI-D, HDMI and Display Port. This product only supports socket 1150 (Haswell) processors. It does not support socket 1155 processors (Sandybridge or Ivybridge). This product has no Windows XP driver support. 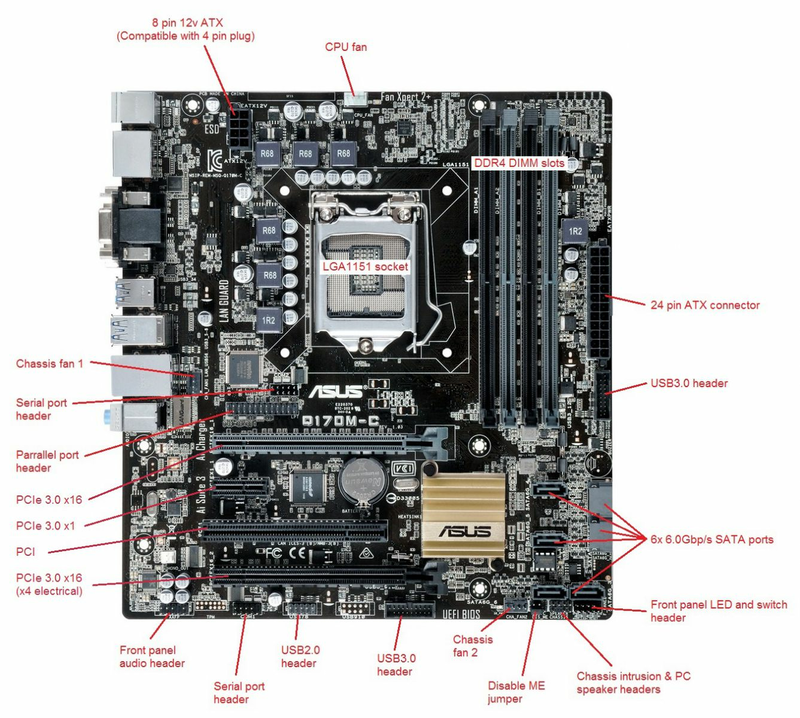 Please see the attached motherboard manual for the Asus B85M-E - BOAMOT-463. B85 chipset supporting ME and vPro. Socket 1150 supporting 22nm processor technology (Haswell). 1 x 1x PCIe 2.0 Slot. 1 x 32bit PCI Slot. 6 SATA ports (4 x 6GB/sec, 2 x 3GB/sec). TPM connector (TPM module is an additional accessory, contact your sales representative for further information). 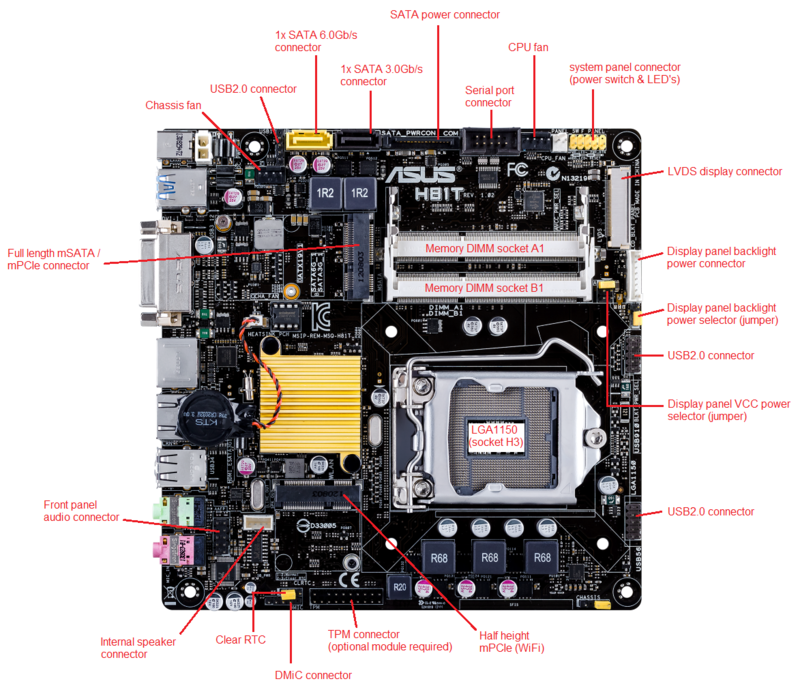 Please see the attached motherboard manual for the MSI H81M-P33 - BOAMOT-464. Addendum: The manual on page 24 refers to the JUSB_PW1 and JUSB_PW2 jumpers. The diagram in the manual incorrectly shows the jumpers being removed to enable wake from USB or PS/2. The jumpers should instead be refitted in the 2-3 position. The attached article shows more. 1 x 16x PCIe 3.0 Slot (16x Electrical)..
2 Memory sockets - maximum 16GB RAM. Also Note: This product has no Windows XP or Windows Vista driver support. 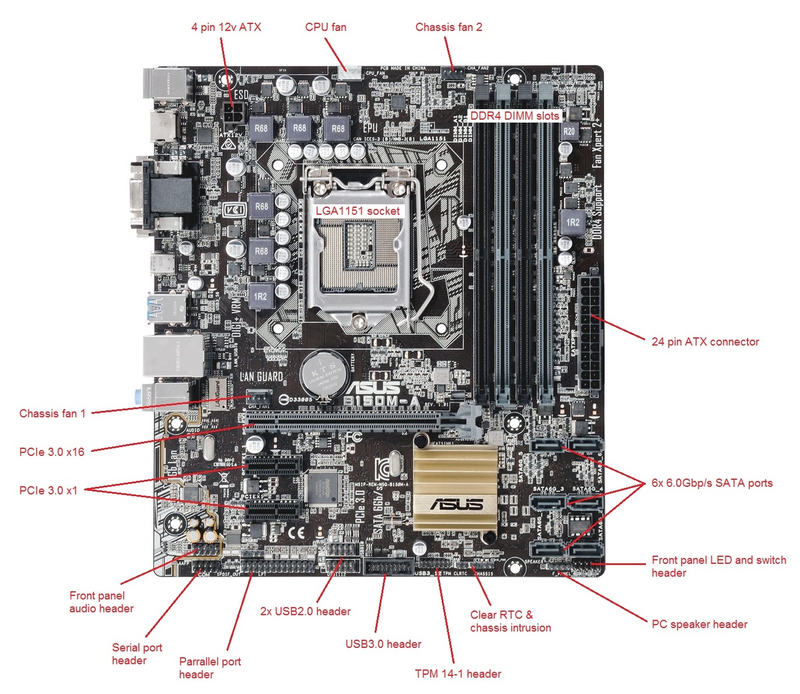 Please see the attached motherboard manual for the Asus Q87CS-B - BOAMOT-467. PCIe 2.0 x16 (x4 mode). mini-PCIe 2.0 x1 (full-length, black). USB 3.0 Intel Controller (rear ports only). Intel® I217LM Gigabit LAN Controller. Realtek® 8111G Gigabit LAN Controller (Disabled intentionally by production BIOS, see manufacturing guidance). Full Intel AMT and vPro support. Note: This product has no Windows XP or Windows Vista driver support. 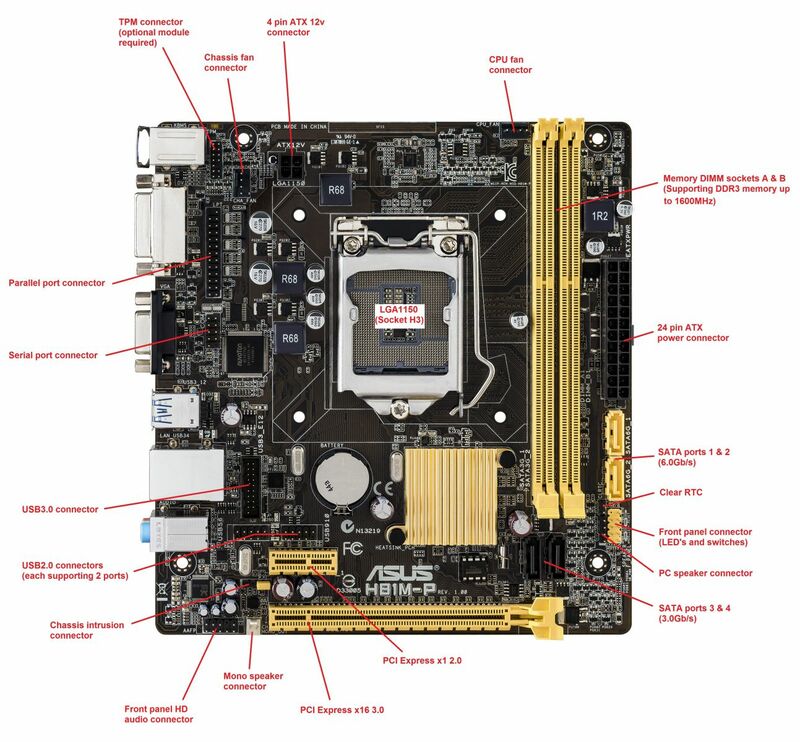 Please see the attached motherboard manual for the Stone / Asus Z87-A - BOAMOT-469. Socket 1150 (supporting 22nm Haswell processor technology). 2x PCIe 3.0 x16 (x16 or dual x8). VGA, Mini Display Port v1.2, HDMI and DVI-D.
Realtek 8111GR Gigabit LAN Controller. Realtek ALC892 8-Channel High Definition Audio. 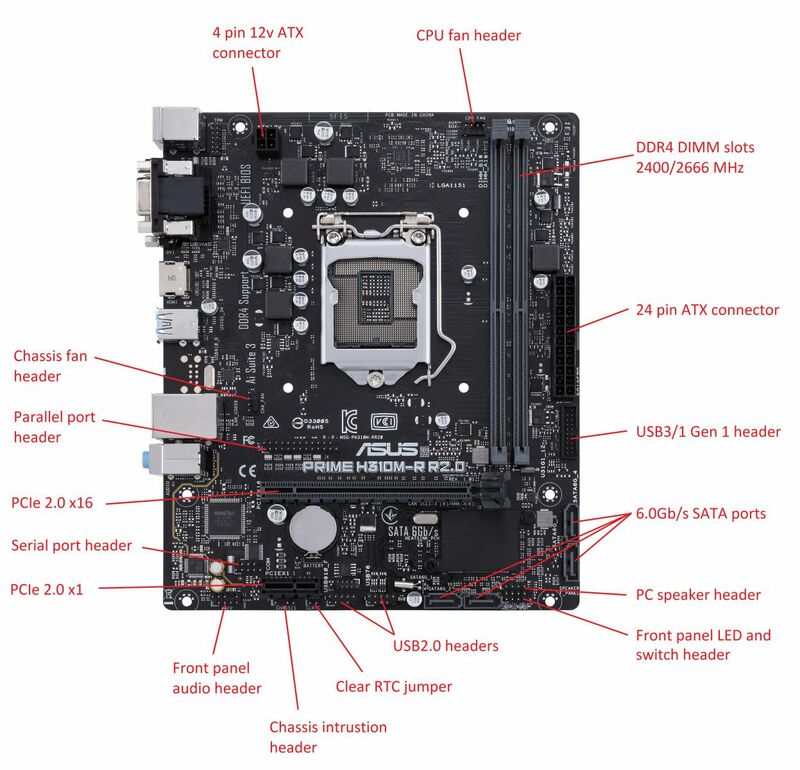 Please see the attached motherboard manual for the Asus Q87T - BOAMOT-470. mini-PCIe 2.0 x1 (full-length, also supporting mSATA). USB 3.0 Intel Controller (rear ports and mid board). 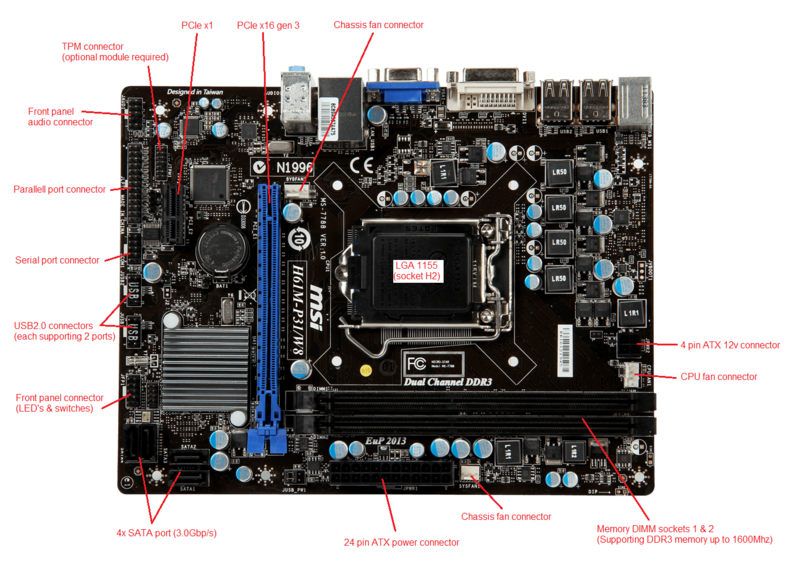 Thin mini ITX form factor (designed for AIO). 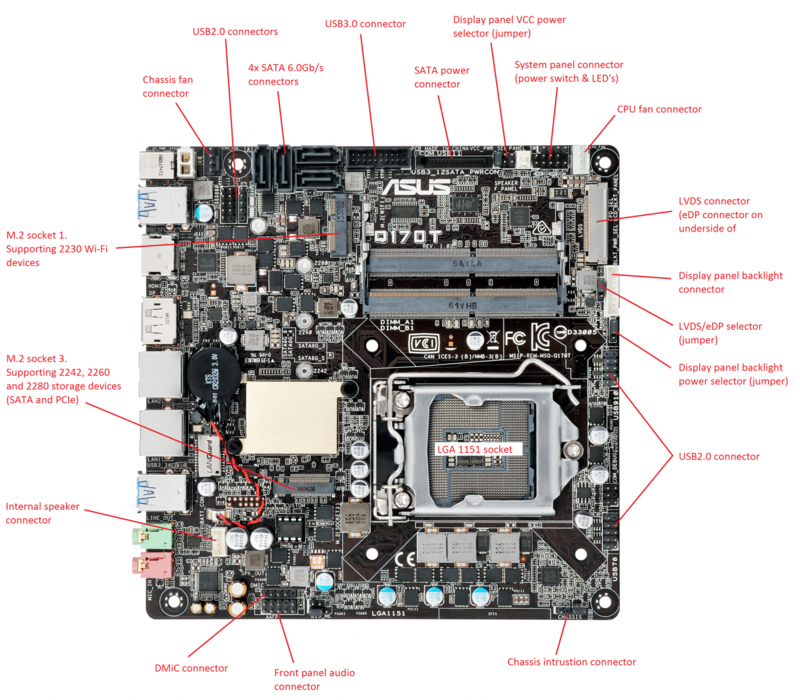 Please see the attached motherboard manual for the Asus H81T Thin mini ITX - BOAMOT-471. mini-PCIe 2.0 x1 (half length). mini-PCIe 2.0 x1 (full-length, supporting mSATA). USB 3.0 Controller (rear ports only). 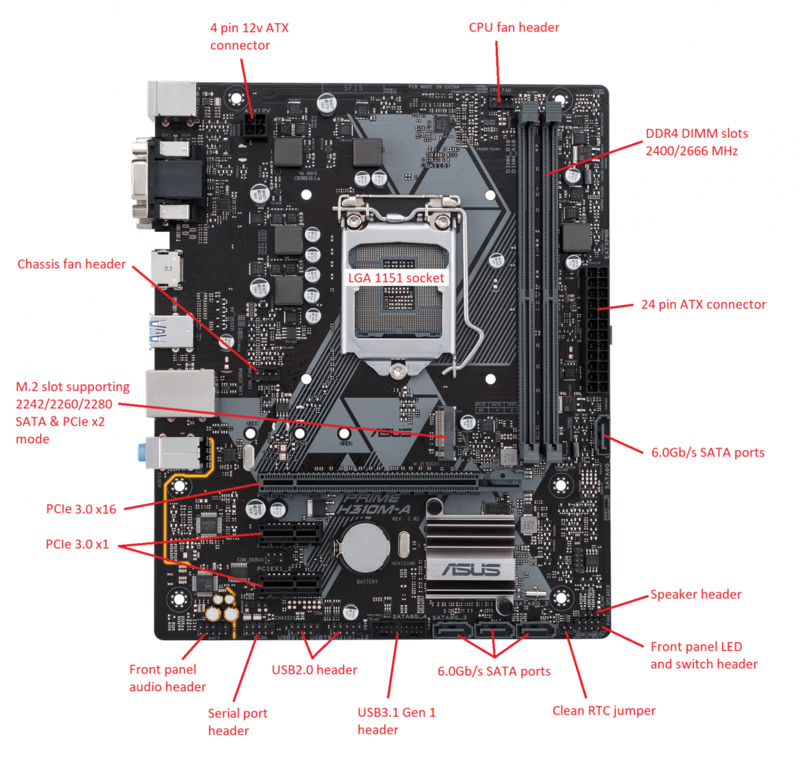 Thin mini ITX (designed for AIO). TPM connector (optional module required). Realtek® 8111G Gigabit LAN Controller. 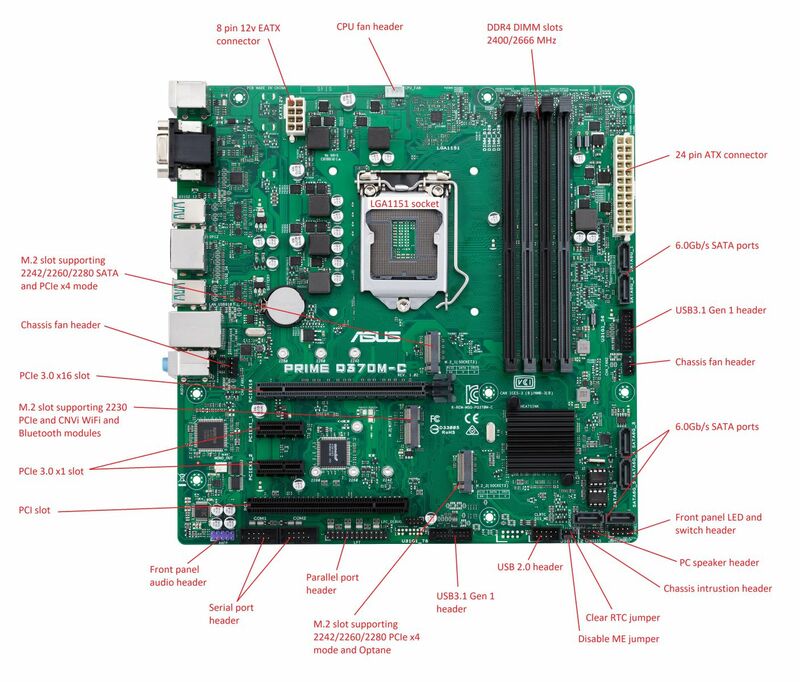 Please see the attached motherboard manual for the MSI H81I - BOAMOT-472. 1 x PCIe 2.0 x16 Slot. 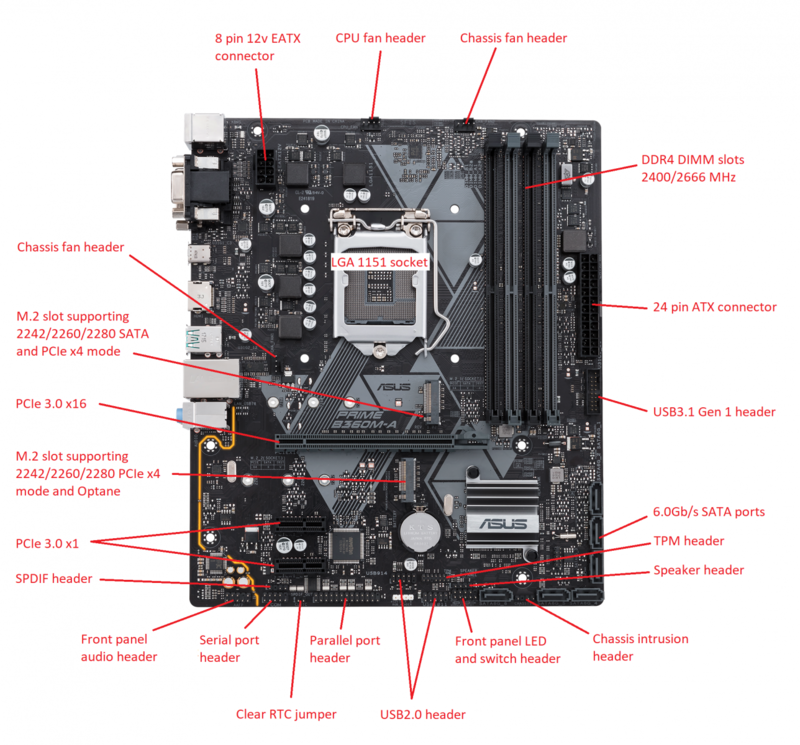 Please find the manual for the motherboard attached to this article. Note: This product does not provide driver support for Windows XP. The following features of this product should remain in their default/off/disabled position, these features relate to over clocking and performance boosting features for the enthusiast market but are likely to introduce an additional element of uncertainty and cause potential issues with stability or if misused. If supporting a customer with this product who has modified the settings of these switches, it is suggested they are returned to defaults as a standard part of diagnostic practice. 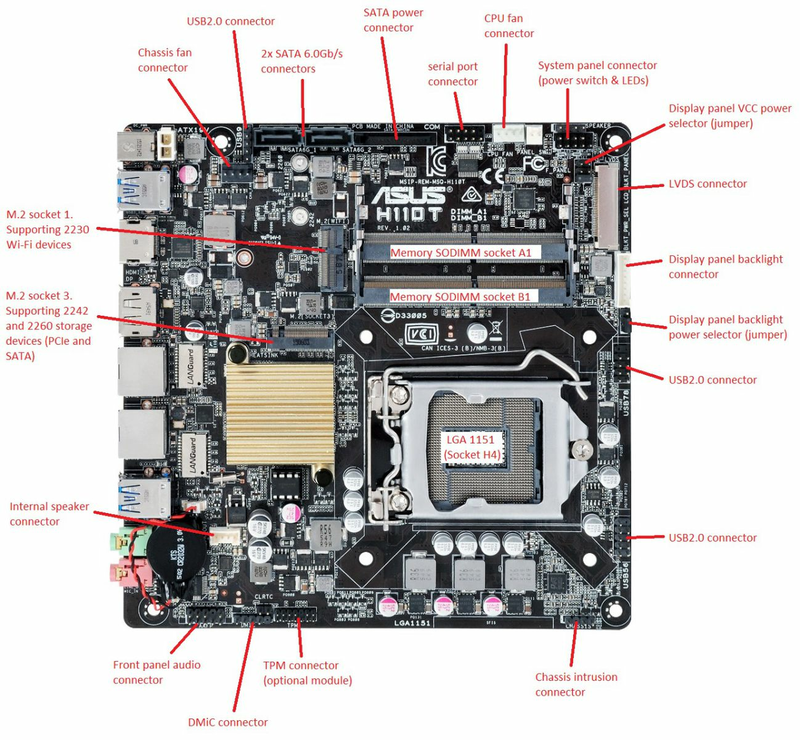 Socket LGA 1151 supporting 14nm Skylake processors. Four DDR4 memory sockets - Supporting a maximum of 64GB @ 2133MHz. Six SATA 6.0GB/s ports (gray). One PCIe 3.0 x16 slot (x16 mode). Two PCIe 3.0 x1 slot. HDMI, DVI-D and VGA connectors supporting maximum resolutions up to 4096x2160 and up to 3 displays simultaneously. Realtek RTL8111H, 1x Gigabit LAN controller . Realtek ALC887 High Definition Audio. Note: This product does not provide driver support for x86 Windows 8 or Windows 10. Two DDR4 memory sockets - Supporting a maximum of 32GB @ 2133MHz. Four SATA 6.0GB/s ports (gray). HDMI, DisplayPort, DVI-D and VGA connectors supporting maximum resolutions up to 4096x2160 and up to 2 displays simultaneously. Note: This product does not provide driver support for Windows 8 x86 or Windows 10 x86. One PCIe 3.0 x16 slot (x4 mode). One PCIe 3.0 x1 slot. HDMI, DisplayPort, DVI-D and VGA connectors supporting maximum resolutions up to 4096x2160 and up to 3 displays simultaneously. Intel I219LM, 1x Gigabit LAN controller . Internal mono speaker connector (full range audio). Two DDR4 SODIMM memory sockets - Supporting a maximum of 32GB @ 2133MHz. Two SATA 6.0GB/s ports (gray). HDMI, DisplayPort, and LVDS connectors supporting maximum resolutions up to 4096x2304 and up to 2 displays simultaneously. Intel® I219V, 1x Gigabit LAN controller. Four USB3.0 ports externally facing. Thin mini ITX form factor. HDMI, DisplayPort, eDP and LVDS connectors supporting maximum resolutions up to 4096x2304 and up to 3 displays simultaneously. Intel® I219LM, 1 x Gigabit LAN Controller. Socket LGA 1151 supporting 14nm Intel 7th Gen Kabylake processors. Four DDR4 memory sockets - Supporting a maximum of 64GB @ 2400MHz. One M.2 socket supporting 2242/2260/2280 storage devices (PCIe 3.0 x4 & SATA). One M.2 socket supporting 2242/2260/2280 storage devices (PCIe 3.0 x4 only). HDMI, DVI-D and VGA connectors supporting maximum resolutions up to 4096x2160 @24Hz and up to 3 displays simultaneously. One USB Type C 5Gb/s port supporting 3A power output (rear I/O). Note: This product does not provide driver support for Windows 7 x86/x64, Windows 8 x86 or Windows 10 x86. HDMI, DisplayPort, DVI-D and VGA connectors supporting maximum resolutions up to 4096x2304 and up to 3 displays simultaneously. Note: This product does not provide driver support for Windows 7x86/x64, Windows 8 x86 or Windows 10 x86. 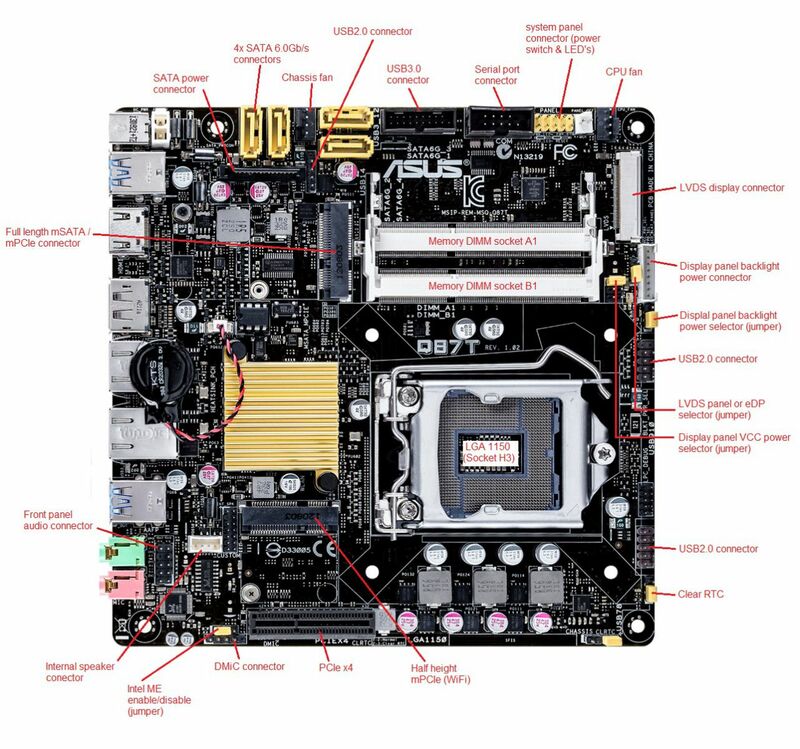 Socket LGA 1151v2 supporting 14nm Intel 8th Gen Coffee Lake processors. Two DDR4 DIMM slots - Supporting a maximum of 32GB @ 2400MHz/2666MHz (CPU dependant). Two PCIe 3.0 x1 slots. Realtek 8111H, 1x Gigabit LAN controller. Two USB3.1 Gen 1 Type A rear ports. Two USB2.0 Type A rear ports. One USB3.1 Gen 1 internal connector. *SATA port 2 shares bandwidth with M.2 slot when configured with SATA M.2 drive. Note: This product only provides driver support for Windows 10. Four DDR4 DIMM slots - Supporting a maximum of 64GB @ 2400MHz/2666MHz (CPU dependant). One USB3.1 Gen 1 Type C rear port..
Intel Q370 chipset, with integrated AMT and vPro support. One M.2 slot supporting 2230 comms module (WiFi and Bluetooth). Intel I219LM, 1x Gigabit LAN controller. Four USB3.1 Gen 2 Type A rear ports. Two USB3.1 Gen 1 internal connectors. Two DDR4 SODIMM slots - Supporting a maximum of 32GB @ 2400MHz/2666MHz (CPU dependant). One USB3.1 Gen 1 internal connectors. One PCIe 3.0 x1 slots. Socket AM4 supporting AMD Ryzen processors. Two DDR4 DIMM slots - Supporting a maximum of 32GB @ 2400MHz/2666MHz. One PCIe 2.0 x1 slots. Four USB3.1 Gen 1 Type A rear ports. Included in the purchase price of the StonePC Mini there is a basic VESA mounting bracket, for which you will find the assembly steps below. The VESA bracket is compatible with 75mm and 100mm mounting patterns. Attach the bracket to the back of a compatible display using the four included M4 screws. Fit StonePC Mini into the VESA bracket in the orientation shown. Using the two remaining M2.5 screws provided, secure the StonePC Mini to the bracket to ensure it cannot become dislodged accidentally. Note: The included VESA bracket is for optimising desk space. It is not intended as a security product. Please contact your account manager for details of our robust security enclosure for StonePC Mini.